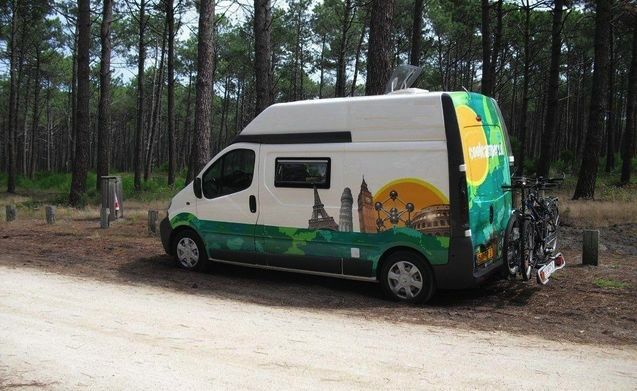 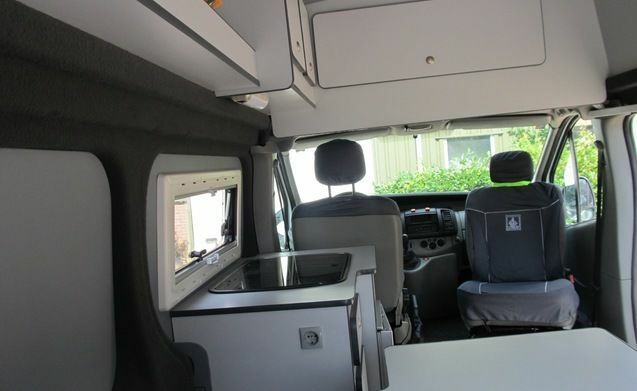 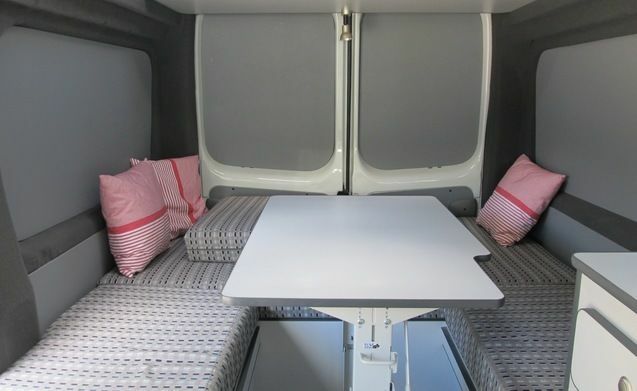 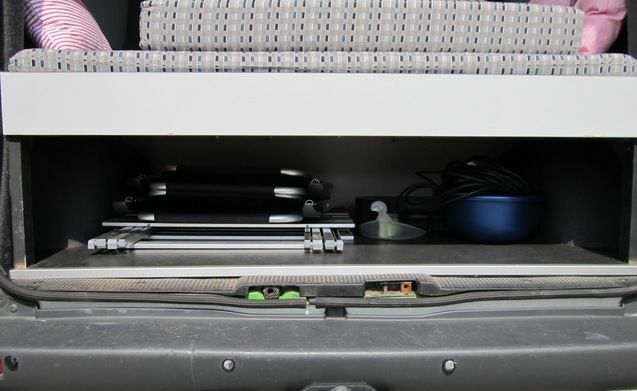 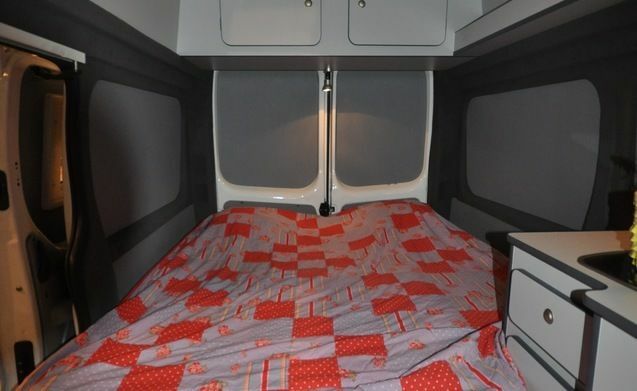 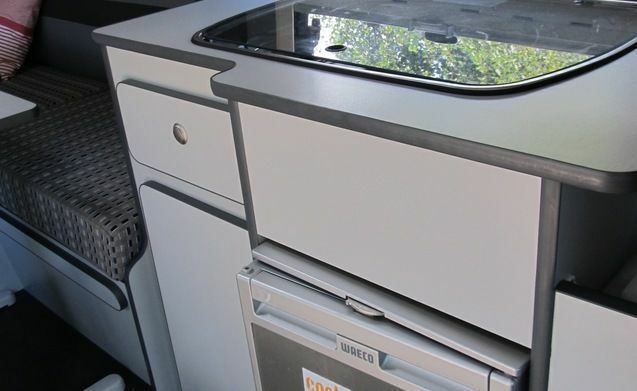 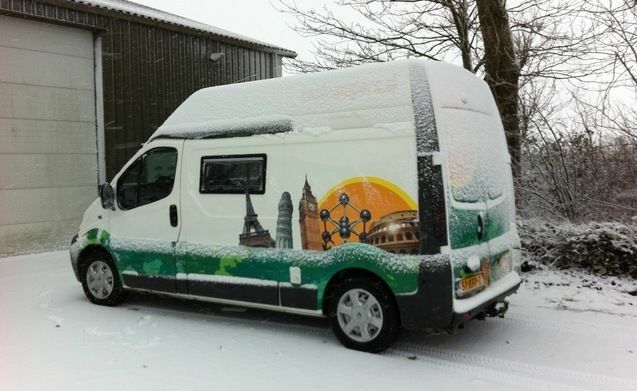 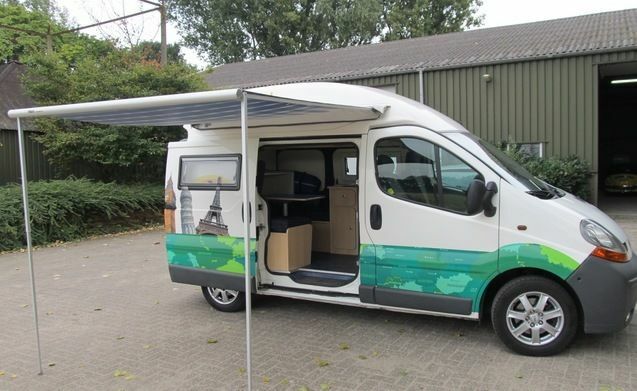 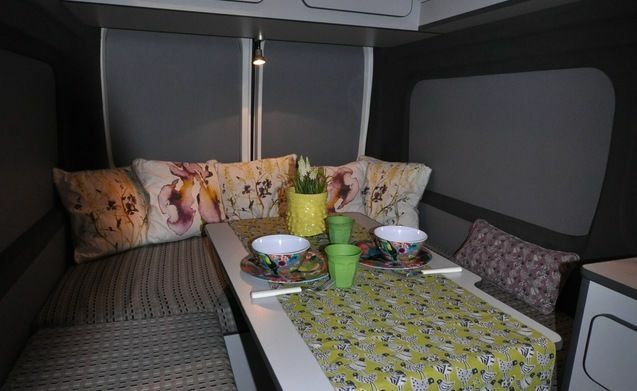 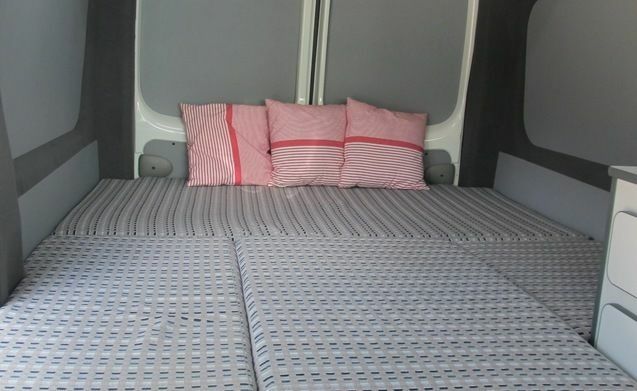 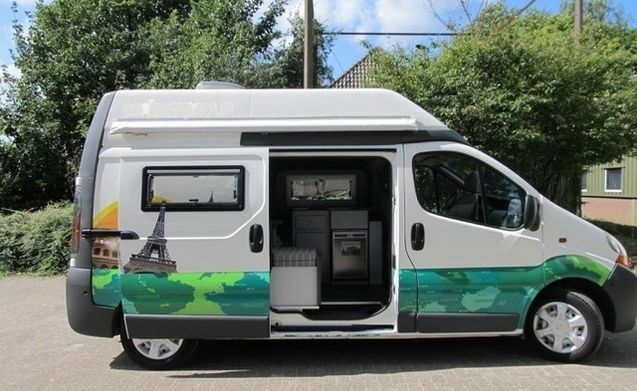 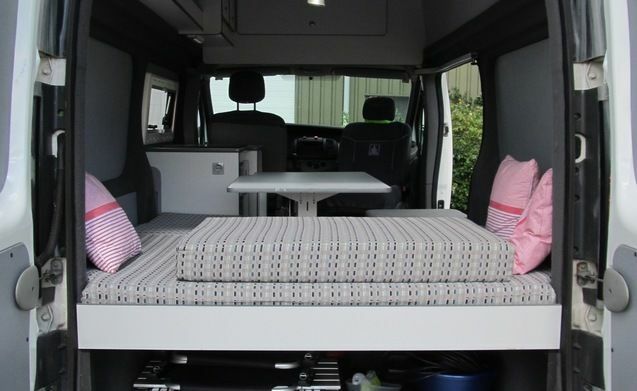 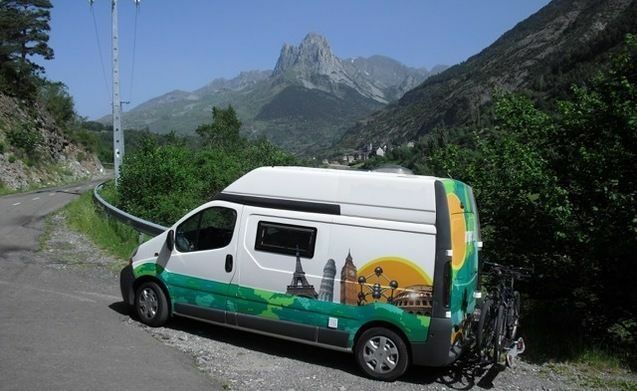 This cool Renault Trafic camper can accommodate up to 2 people and has a large bed of 1.70 x 200 cm that is easy to convert to a spacious round seat. 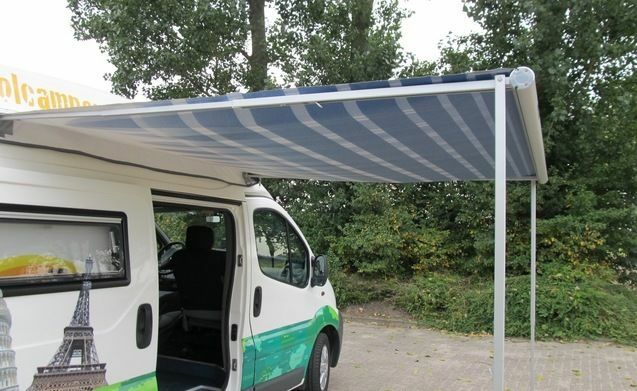 The standard headroom is achieved by a fixed high roof with a standing height of 1.95 cm. 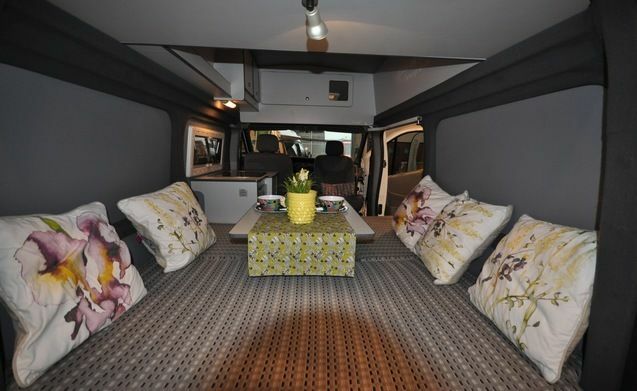 In each roof there is a skylight that can open and provides plenty of fresh air.